Watch the video clip on "Digital Footprints". Afterwards, we will discussed how the "fingerprint" image makes us realize that everyone is unique and leaves a mark when online. The "football stadium" image is a great reminder that the Internet is a massive public space. The "permanent marker" image shows that you need to be careful what you post online because it is very hard to take something down. Finally, the "lighthouse" image reveals how easy it is for someone to search for information about you! That's exactly what I wanted you to think about! What online information do you want connected to your name 10 - 15 years from now? 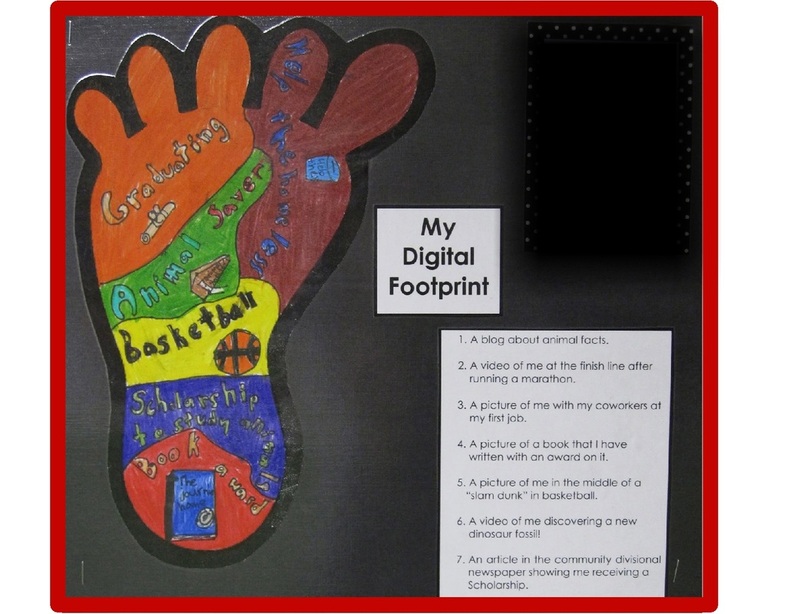 Create a list of ideas and be creative as you make your own "digital footprint" to display in the lab for Open House!